Gionee is all set to launch a new smartphone on September 28th that will feature a full-vision display and it will be announced in Bangkok, Thailand this time instead of China. Judging from the Full-Vision display of this smartphone, we can expect that it will carry other flagship series specifications including the Snapdragon 835 or the Mediatek flagship processor. A series of teasers issued by the company on their weibo page comes with a phone having a full vision display and the teasers also confirms the name Gionee M7 Power in the official teasers. 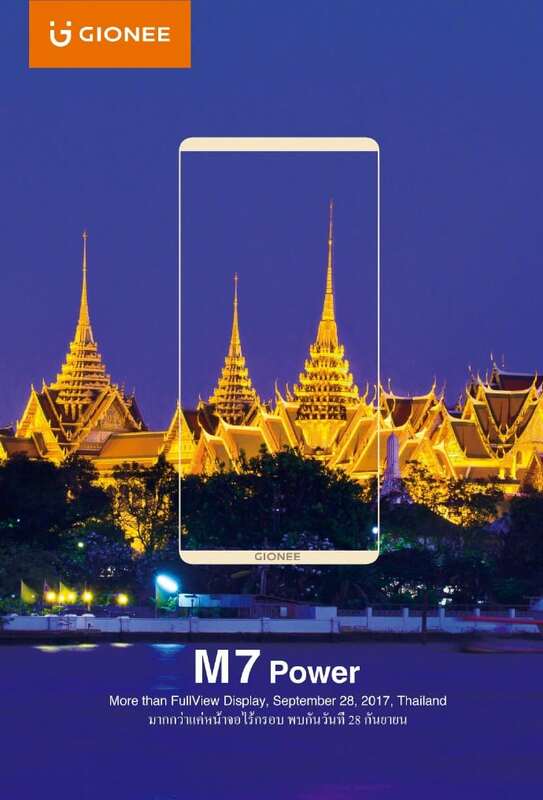 We can also expect the launch of the Gionee M7 along with the M7 Power at the event. No other details about the device are currently available like its specifications and other design related details that are expected to be available soon with its new leaks and rumors. A recent GFXBench listing of the Gionee M7 confirms that the device carry a 6-inch Full HD+ display with 2160 x 1080 pixels resolution and 18:9 aspect ratio. It is powered by a 2.3GHz octa-core MediaTek Helio P30 (MT6758) (Cortex A53 - ARMv8) processor with ARM Mali-G71 GPU and it comes with 6GB of RAM and 64GB of inbuilt storage capacity. It runs on the Android 7.1.1 Nougat OS out of the box and is also expected to feature Dual SIMs. It also features a 16-megapixel rear camera and an 8-megapixel front-facing camera according to the listing. No other details about the device are available on its GFXBench benchmark listing, so we have to wait for its TENAA listing to have more details. 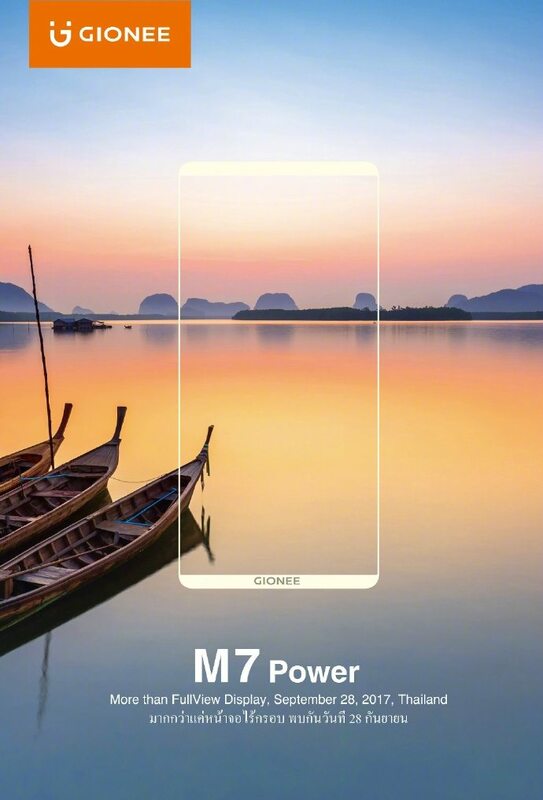 The Gionee M7 and M7 Power will be the successors to the last year's Gionee M6 and M6 Plus smartphones. The Gionee M6 Plus was launched with a 6-inch full HD AMOLED 2.5D curved glass display with 1920× 1080 pixels resolution and is powered by a 2GHz Octa-core MediaTek Helio P10 (MT6755) processor with Mali T860MP2 GPU. It comes with 4GB of RAM and 64GB /128GB internal storage option with expandable storage up to 128GB with microSD card. It supports Dual SIM and runs on Android 6.0 (Marshmallow) with Amigo OS 3.5 UI on top. It has a 16-megapixel rear camera with dual LED flash and an 8-megapixel front camera. The M6 Plus was having a 6,020mAh battery while the Gionee M6 was having a 5000mAh battery. It measures 160.5×80.6×8.2mm and weights 215g.